Life happens best over a great cigar. 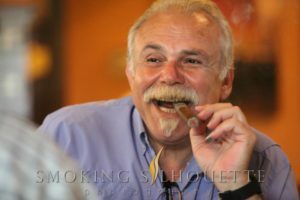 Chris Tsangarides was introduced to cigars when he was 18 years old. After a 15-year career in jewelry, he decided to start his own company and purchased our Haywood Mall location just after Memorial Day. 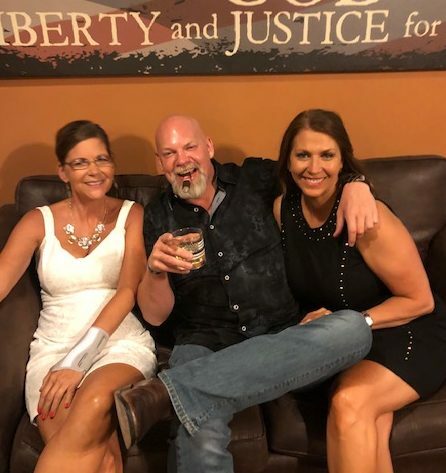 A month later, he had formulated his business plan, which revolved around sharing his love of cigars with the rest of the community. Two years later, in 2008, he opened our stand-alone location at the corner of Orchard Park Drive and Haywood Road. Outman Cigars has served the premium cigar community of Upstate South Carolina ever since they opened in 2008. 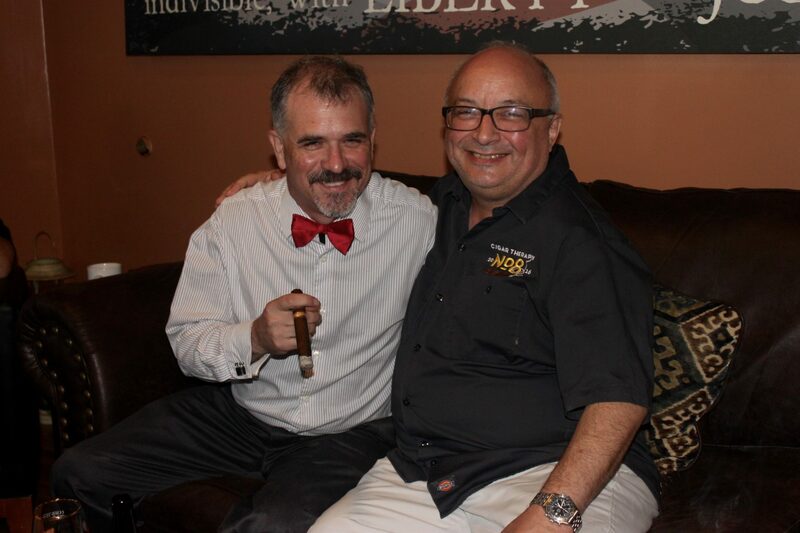 Chris’s hospitality and belief in camaraderie have created a welcoming sanctuary in Outman Cigars & Martini Bar. It is an environment where everyone is comfortable. On any given day, you can find 18 year olds chatting with 88 year olds, or military personnel smoking with business executives. From first dates to business deals and law contracts, it is a place where life happens—accompanied by a great cigar, of course. Our walk-in humidor is packed with over 315 facings of premium cigars, with brands such as Ashton, Camacho, Oliva, Perdomo, Padron, Rocky Patel, and many more. 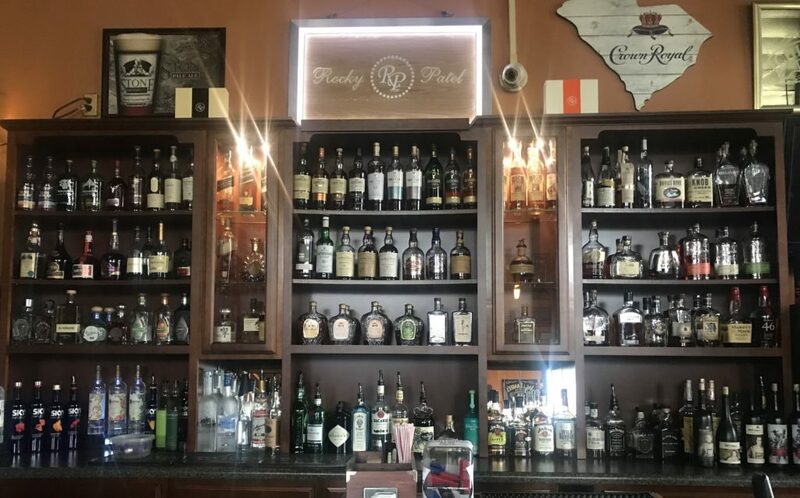 We are proud to be a Rocky Patel Sponsored Lounge—the only one in South Carolina and one of only 45 nationwide. You’ll find that we carry the largest selection of Rocky Patel Cigars, even some that no other cigar shop in the Upstate can carry. Whether you’re new to cigars or a connoisseur, we’ve got one waiting for you. Check out a few of the brands you can try here at Outman. While we are best known for our cigar collection, we also take pride in purveying high-end liquors and cocktails. Because, the truth is, nothing goes better with a cigar than a premium scotch or bourbon. Come in and enjoy just that, or try one of our signature martinis, or something from our extensive beer and wine. We’ve got food to offer too. Whatever your preference, we aim to make you feel right at home. The quality of our bar menu matches the quality of our cigars: nothing but the best. 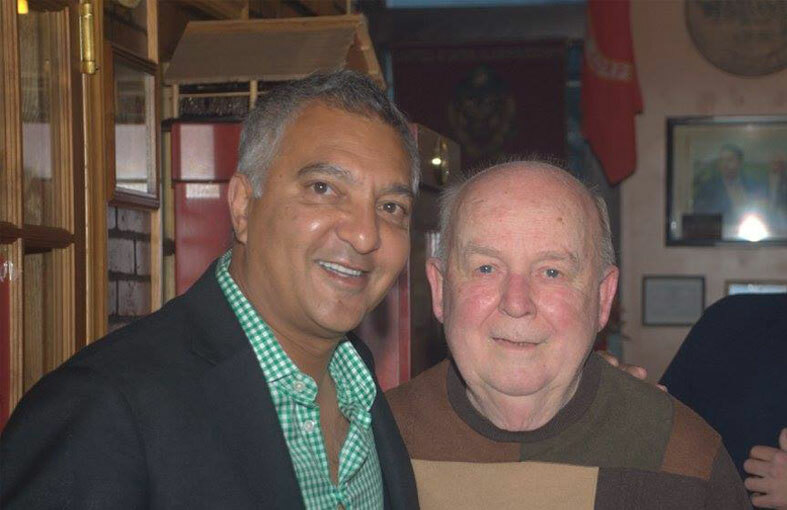 If you find yourself frequenting our establishment often, consider asking about membership. With an annual fee of $275, you’ll get discounts on drinks and cigars, use of a members-only area, and access to a private, climate-controlled cigar locker. Space is limited, and members are selected on a case-by-case basis. If you are interested in becoming a member, please visit our Orchard Park location and ask for Chris. Outman Cigars & Martini Bar offers a large smoking area and outdoor patio where you can relax and chat with our other patrons. You can also enjoy a high-end scotch or bourbon from our bar—or one of our famous chocolate martinis. An upstairs area is available to rent for private events. Members will enjoy an exclusive membership area, as well as private cigar lockers. Subscribe to our mailing list to learn about upcoming events and special offers.